Harold James Cleworth is the most well-known automotive artist know for his realistic paintings of automobiles. He has painted over 300 paintings in the last 30 years. 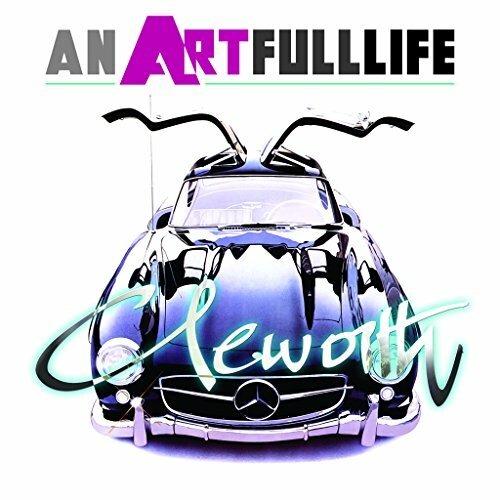 CLEWORTH: an ARTFULLlife is a huge squarish-sized 160-page hardcover book that features a selection of paintings by Cleworth over the years. The paintings look wonderful. It's not like they are hyper-realistic so the artist's style still shows and each is a beautiful interpretation. The paintings should be even more stunning in real life because they are huge, as their dimensions are listed in the book. There are some commentary for selected paintings and those are quite interested to read to learn about the story behind each commission. In addition to cars, there are also paintings of trains, trolleys, motorcycles, planes, scenes and landscapes. Though this section is smaller compared to the cars. It's a great book for those into automotive art.